Well since a few months back I’ve occupied by work and looks like I won’t be write as often as before. Anyway I still continue watching anime though and this season there are some decent series that I look forward too. 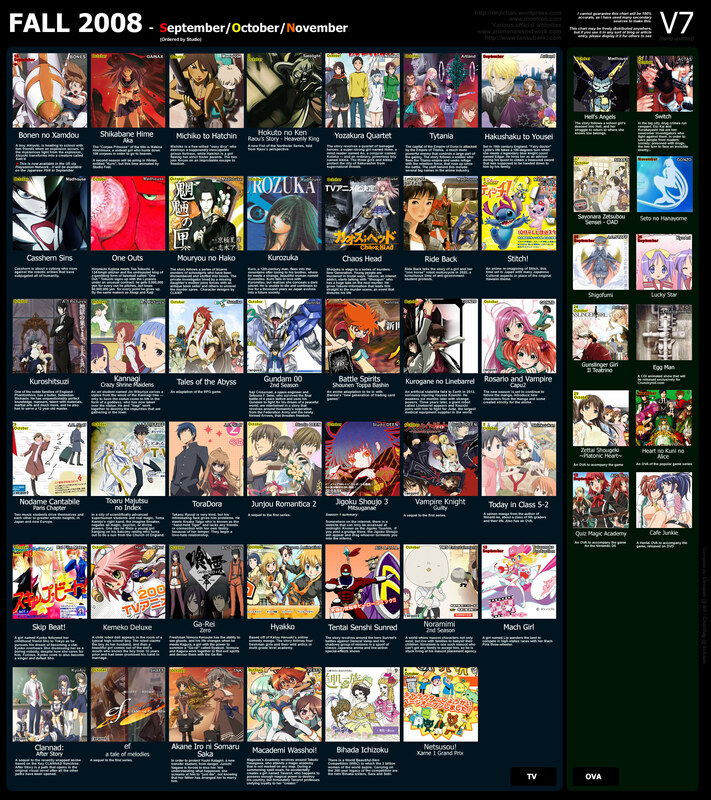 Anyway I put the full list in more, but the highlight of this season for me is definitely Gundam 00 season 2. Other than that there’s also few series that I follow such as CLANNAD ~After Story~, ToraDora!, Kannagi, and To Aru Majutsu no Index. I would really recommend the first three for romance-comedy lover and Index for those who love action like Shakugan no Shana. I think there are more interesting series that I really like to watch like Hyakko, Ga-Rei Zero, Casshern SINS, and Kurogane no Linebarrels. But I dont have the time and more over the bandwidth. Quick Sneak-Peek poster for you who visual oriented, click to view it. Be warned though it’s big around 1.4 MB.